This Art Deco necklace is dripping with detail. 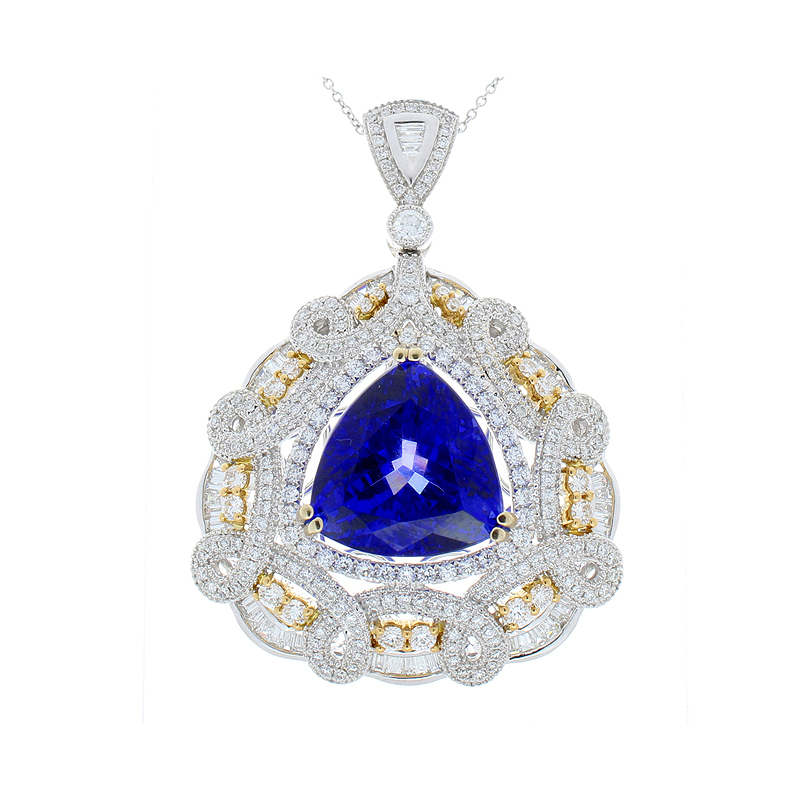 This piece was designed around the 16.64 carat triangular cut tanzanite measuring 15.74x15.27mm. The gem source is near the foothills of Mt. Kilimanjaro in Tanzania. The intense blue-violet color resembles fine blue sapphire. The saturation is what you want; its transparency and luster are excellent. Channel set and pave set baguette and round brilliant cut diamonds adorn this show-stopping pendant in swirls and ribbons totaling 2.51 carats. Designed in brightly polished 18 K white with pops of yellow gold, this impressive tanzanite and diamond pendant sits on a delicate cable link chain with a tapered triangular bail.